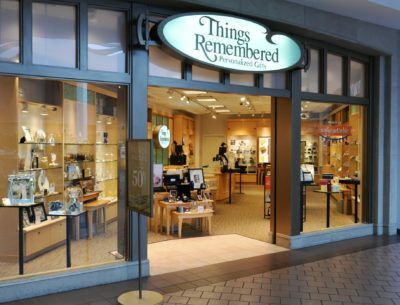 Things Remembered recently declared bankruptcy so that the business could be purchased by Enesco, a major brand mostly interested in the “leading personalization capabilities” it acquired through the deal. You may wonder why the 40-year-old chain failed if personalization is supposed to be such a hot trend – but as with many recent retail failures, the fact that Things Remembered was carrying $120 million in debt, according to Crain’s Chicago Business, was probably the main factor in its demise. So it’s safe to say that the financial failure of Things Remembered had little to do with whether customers want personalized merchandise today. In fact, the acquisition of the business by Enesco is an indication that this well-respected player in our industry feels strongly that consumers do indeed want items that are unique to them, whether through customization or personalization. What does this mean to you? As an independent retailer, you probably don’t have the ability to engrave someone’s name on a necklace, or to embroider it a tote bag. But you can do simple personalization on Christmas ornaments, or offer consumers the idea of doing this themselves. You can partner with a vendor who offers personalized merchandise that can be special ordered to be picked up in your store (we do this for plaques featuring a family name). You can take special orders for custom products tailored to the shopper’s preference of color or style. There are a number of vendors who make it easy to create merchandise for your store that features local names or references, which helps forge the emotional connection mentioned in Grullon’s article. And unlike big retailers, you can work with local craftspeople and makers to create products that are exclusive to your store. Even if these items are not personalized, they help you provide a unique shopping experience that offers a special connection between the customers and their purchases.